Frank Bray transports you to 19th century Newcastle for this fascinating talk about his novel, ‘The Newcastle Eccentrics’. 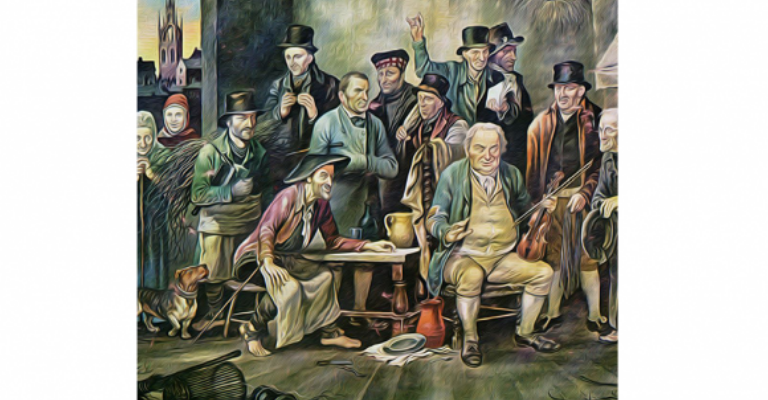 Inspired by Dickens, he brings to life real historical characters, especially those who feature in Henry Perlee Parker’s painting, The Newcastle Eccentrics. Many of the places featured in the book – the Quayside, the Town Moor, the Keelmen’s Hospital, the Guildhall and High Bridge – are still around, although they all look very different today. This event is part of Talks on Tyne: a collaboration between Newcastle Castle, Tyne Bridge Publishing and Newcastle Libraries, connecting local authors and historians with their readers. This is the second Talks on Tyne, following a successful inaugural programme in 2016, during which many of the events sold out. The full programme will be announced soon.